Here’s my review of the Huntington production of Vanya and Sonia and Masha and Spike, directed by Jessica Stone. Not knee-slapping funny, but full of some bright performances and plenty of shenanigans. I am starting to be frightened by the hyperrealism of Huntington sets: I kept seeing people walk up to the stage to touch the grass (why?). 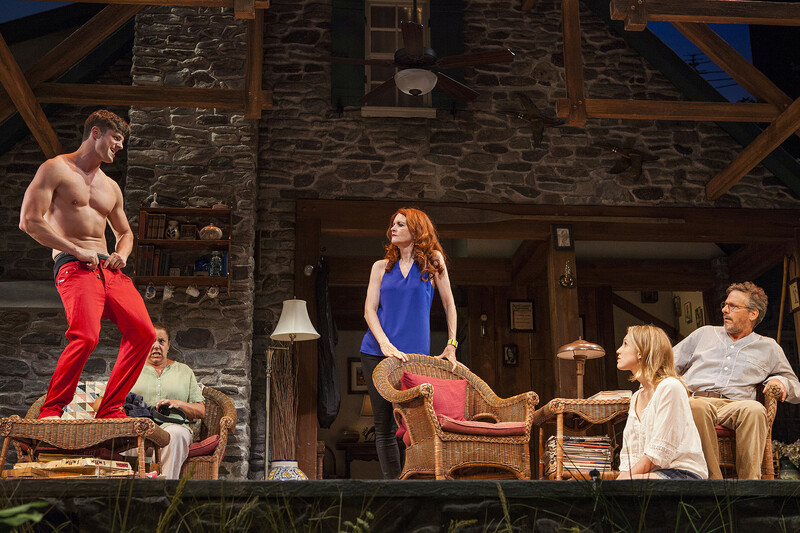 This entry was posted in Reviews, Theatre and tagged Christopher Durang, Huntington Theatre Company, Jessica Stone, Vanya and Sonia and Masha and Spike. Bookmark the permalink.